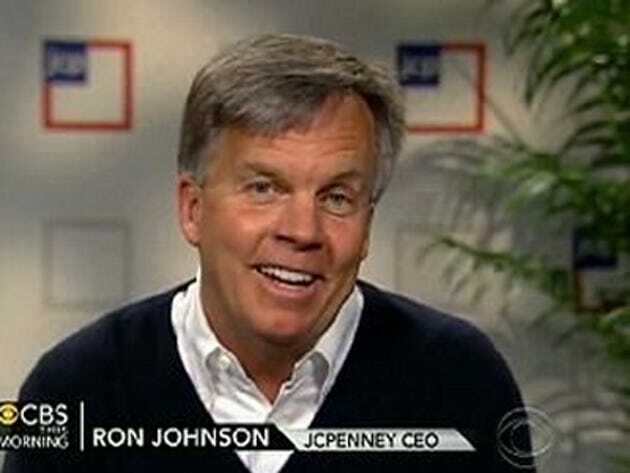 JCPenney CEO Ron Johnson acted like he was buds with Macy’s CEO Terry Lundgren, while he really was preparing a ruthless business move, according to emails revealed in court. After the newly-appointed Johnson revealed his turnaround plans to Wall Street last year, Lundgren wrote to congratulate him. “Thank you, Terry. Your note means a ton to me,” Johnson replied in an email written January 27, 2012, according to the New York Post. “At the same time, however, Johnson was trading snarky e-mails with colleagues about Macy’s—including one in which the former Apple exec said Macy’s management ‘look asleep at the wheel,” the Post reported. JCPenney was also plotting to start a line with Martha Stewart, one of Macy’s most important designers. Executives began testifying yesterday in Manhattan’s New York State Court in the dispute over Martha Stewart’s planned line with JCPenney. She’s had a housewares line with competitor Macy’s since 2007, and executives say her agreement with them was exclusive. Johnson isn’t the only friend-turned-foe for Lundgren. He also said that he considered Stewart to be a friend before she went behind his back and made a deal with JCPenney. Johnson will testify Friday, while Stewart is scheduled to appear sometime next week.